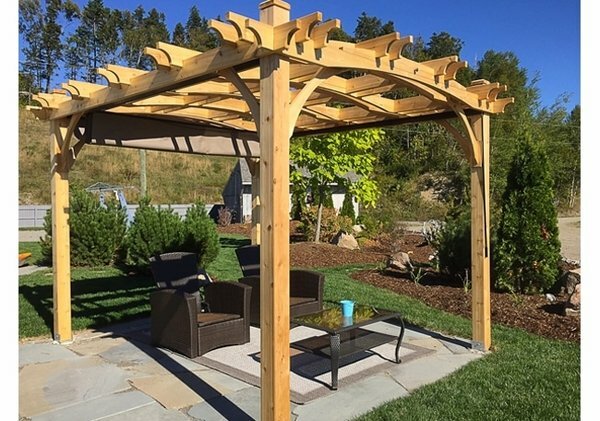 The Outdoor Living Today 12x10 Arched Breeze Pergola is sure to add a great deal of beauty to your backyard. 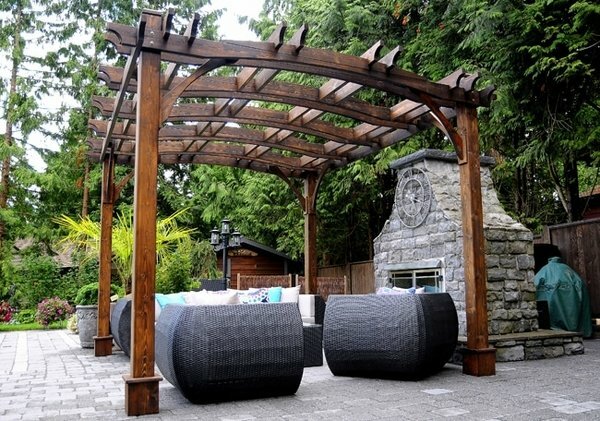 It's made from Western Red Cedar wood which provides natural strength and beauty. 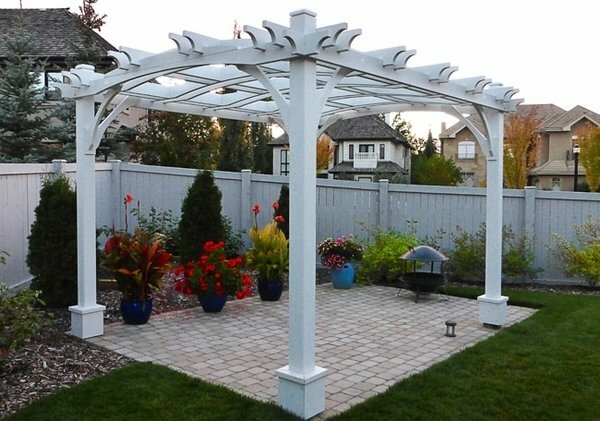 Every piece of the pergola is precision-cut and guaranteed for quality. 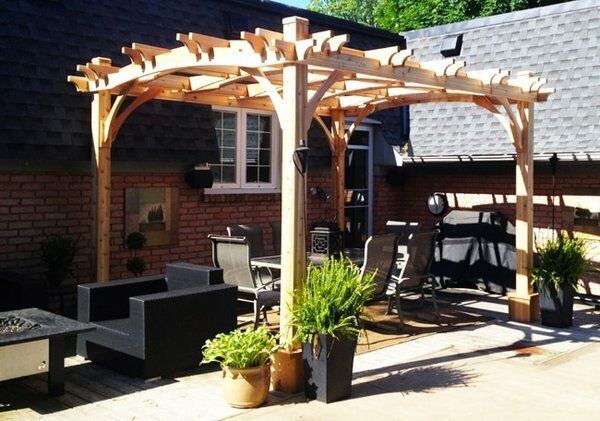 The pergola includes notched and pre-marked western red cedar joists and notched and pre-drilled western red cedar girders. 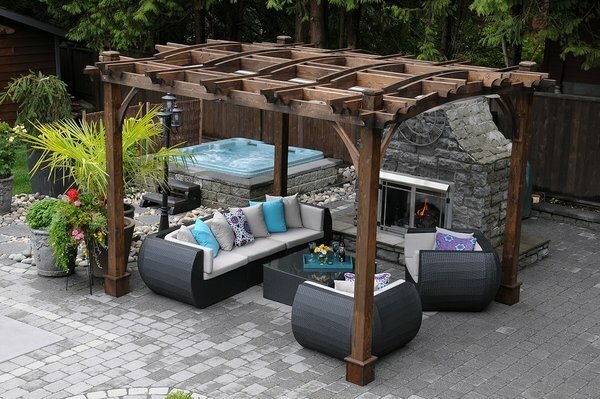 It ships unstained and accepts a wide range of finishes, which allows you to create a personalized look. 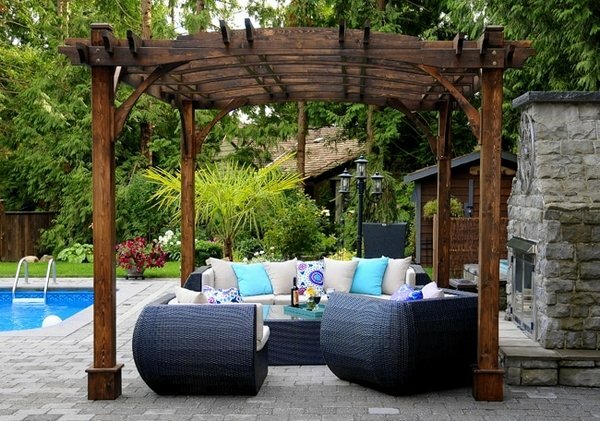 Assembly time is approximately 6-8 hours for 2 people.